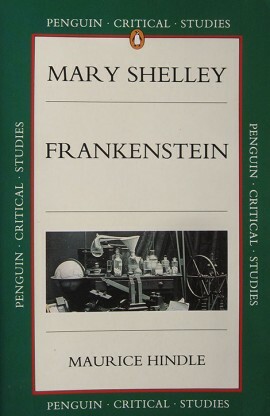 I published this Penguin Critical Study of Mary Shelley’s Frankenstein in 1994. That same autumn I also co-produced a South Bank Show on Frankenstein, triggered by the release of Mary Shelley’s Frankenstein, the film by Kenneth Branagh, interviewed as part of the Show under my guidance by Melvyn Bragg. The Critical Study emerged because Penguin liked my idea of making a close reading of the novel Mary Shelley had actually written, rather than the theatrical and many film adaptations of her story that had been made. The close reading I make of Shelley’s work produces many ideas not usually considered by more ideologically underpinned readings. I have never bought into any ‘ideology’. Instead, I allow the energies, ideas and language-use that give the work shape and significance to inform and direct my writing. I try to do that with all ‘texts’ that I look at, whether in fiction, film, or music. I intend to revisit, rework and republish this earlier book, adding a section that does deal with many of the films of Frankenstein that have appeared over the years.